Isn't this your buddy who just purchased this swan from evilbay? Not a friend of mine. I will be watching this to see what a modded Blue Sparkle Nightswan will sell for. 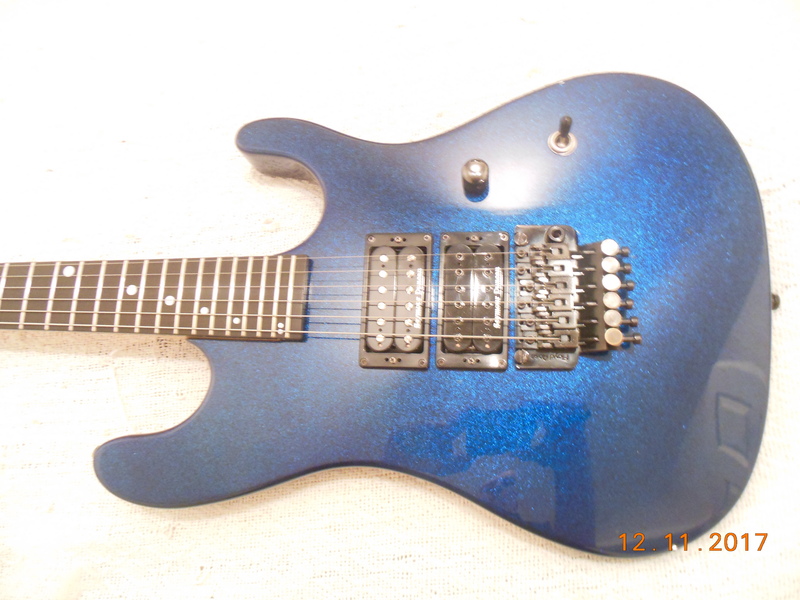 My original Blue Sparkle Nightswan was my #1 guitar from 89-94. Like a DumbA$$ I sold that guitar in 1994 for a Gibson Les Paul Standard. I always regretted it. I have spent many years looking for one like it. I found my current Nightswan on Reverb in 2016. I got it while prices were not so INSANE. Now these sell for 3 times what I paid. It doesn't matter how crazy the prices get. I won't sell mine. It took to long to find one again. I always thought they all have a low-profile floyd "pro"? I love NightSwans.... but WHA????????????????? This one is at $4,550.0. Man my night swan is a 9.5. It has a replaced large toggle switch. I have the original non trembucker pickips for it also. These are selling for $3k more than what I paid for mine. Wonder what mine would sell for? The blue one is now at $4,808.00. The white one is now at $4,550.00.